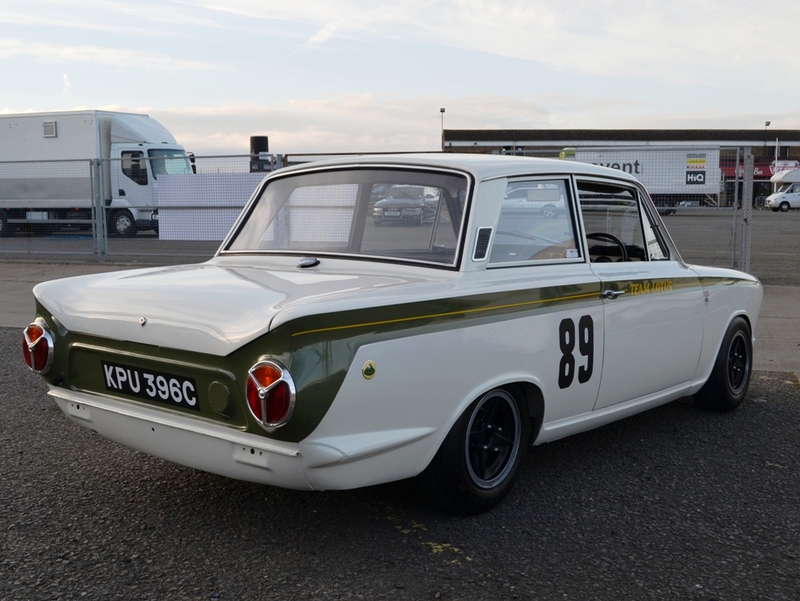 2014 was the 50th anniversary of Jim Clark winning the 1964 British Saloon Car Championship in his Team Lotus Cortina. 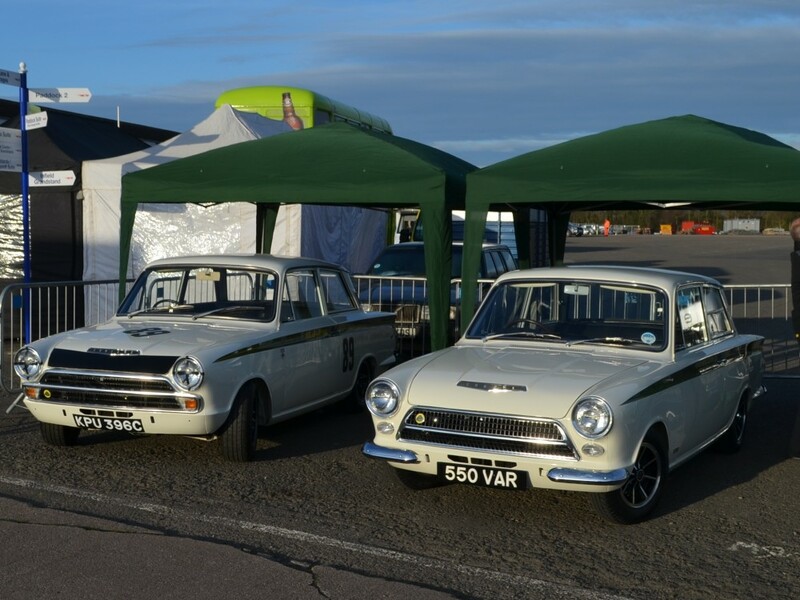 A Press Launch for the 2014 British Touring Car Championship was held at Donington in March, and two of Jim Clark’s old cars were on display. 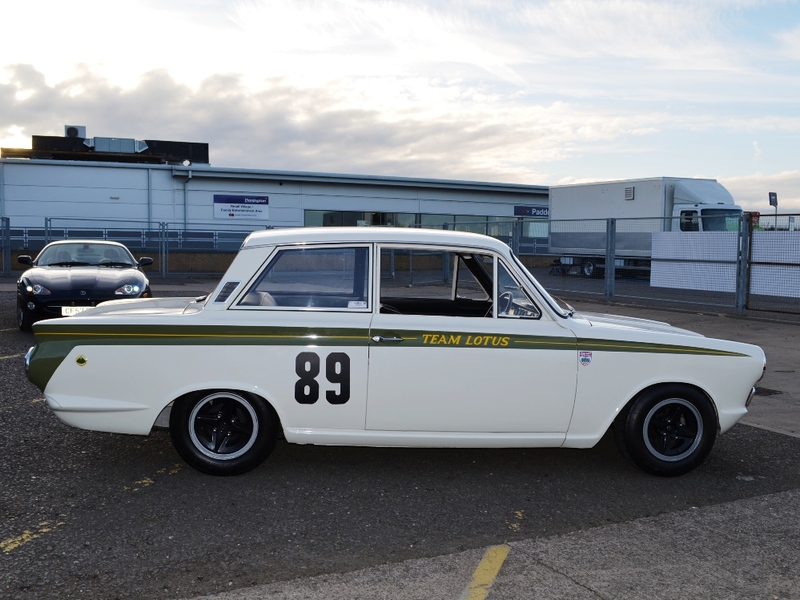 Will Payton brought Jim’s old road car, 550 VAR, and Andy Middlehurst brought the last Team Lotus Mk 1 race car made, KPU 396C. And I tagged along to take some photos. 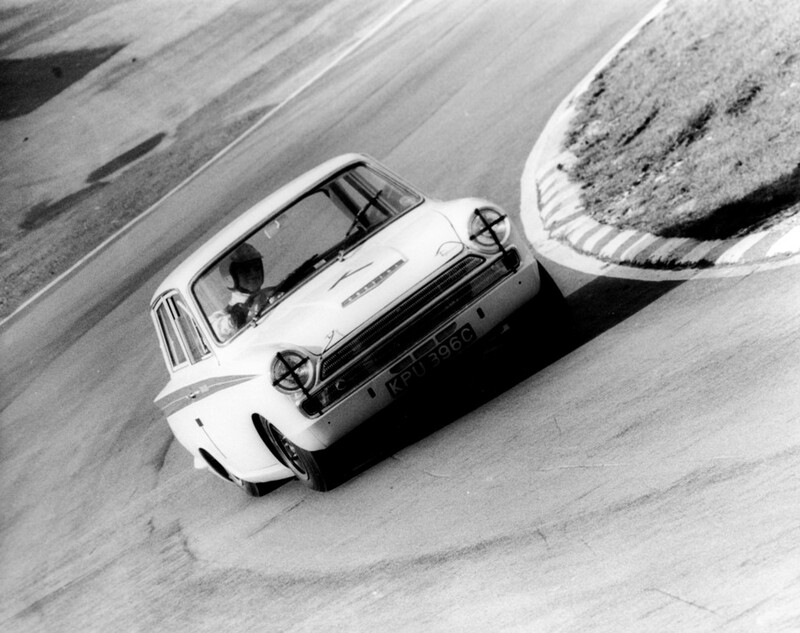 Graham Robson wrote an article for Classic Ford Magazine in January 2000 where he reviewed the first and last of the Mk1 Team Lotus race Cortinas…166 RUR and KPU 396C. 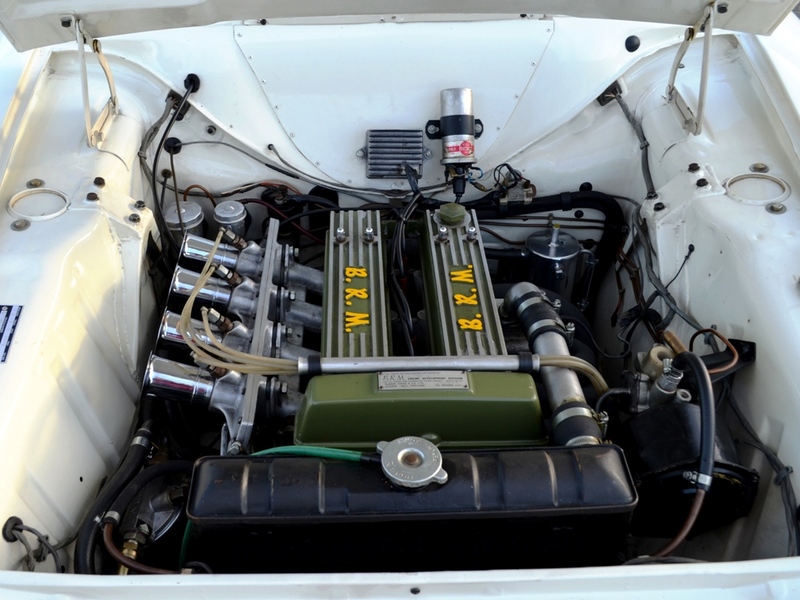 At the time they were both owned by Andy, who had found and restored both cars some years earlier. 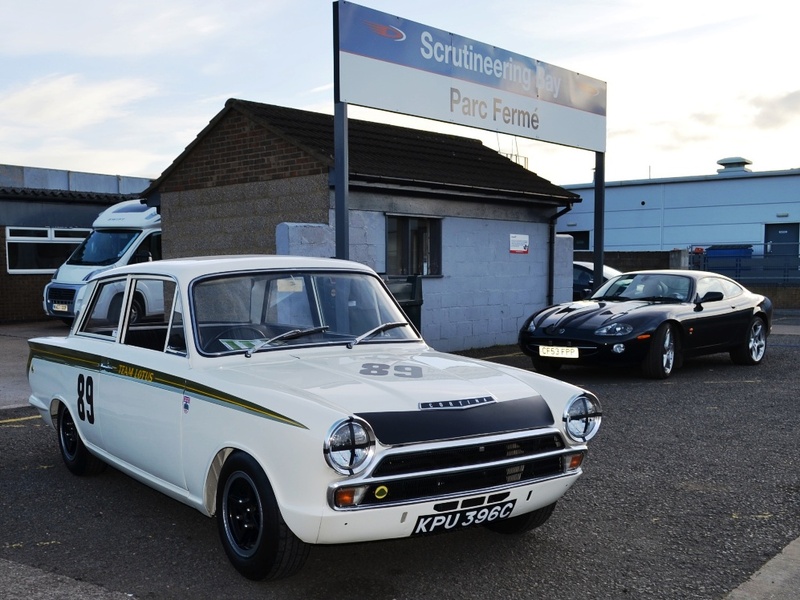 KPU 396C had a che­quered racing history in the British saloon series, but after being sold off it eventually became a rally car, ending its days in a farmyard in Scotland. 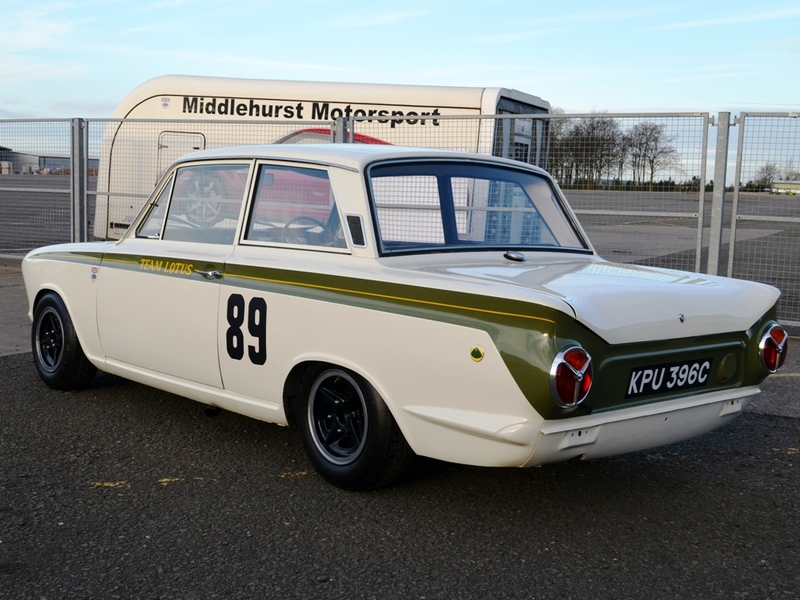 Racing driver Andy Middlehurst takes all the credit for tracking it down. 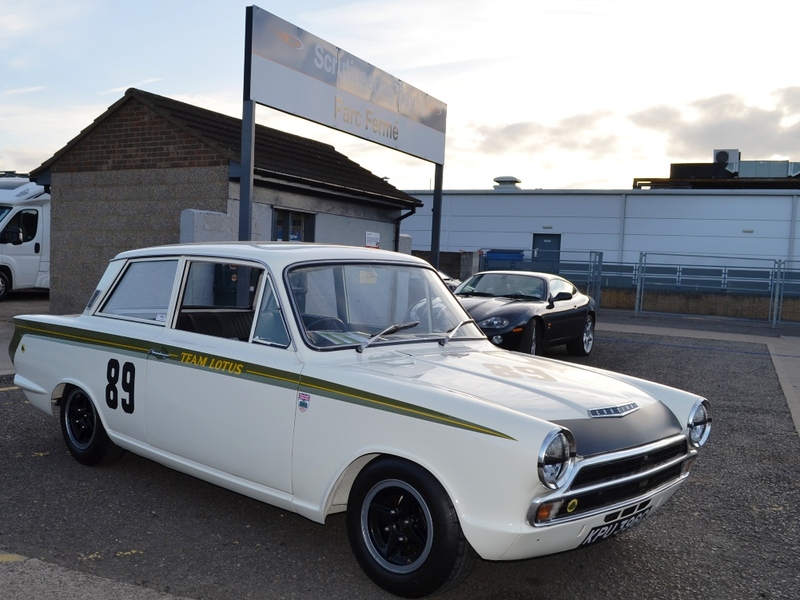 He was British National Saloon Car Champion for four years in the ’90s and won scores of races in RS500s in the ’80s, but he’s been a Ford fanatic for many years, his family once running a Ford dealership. 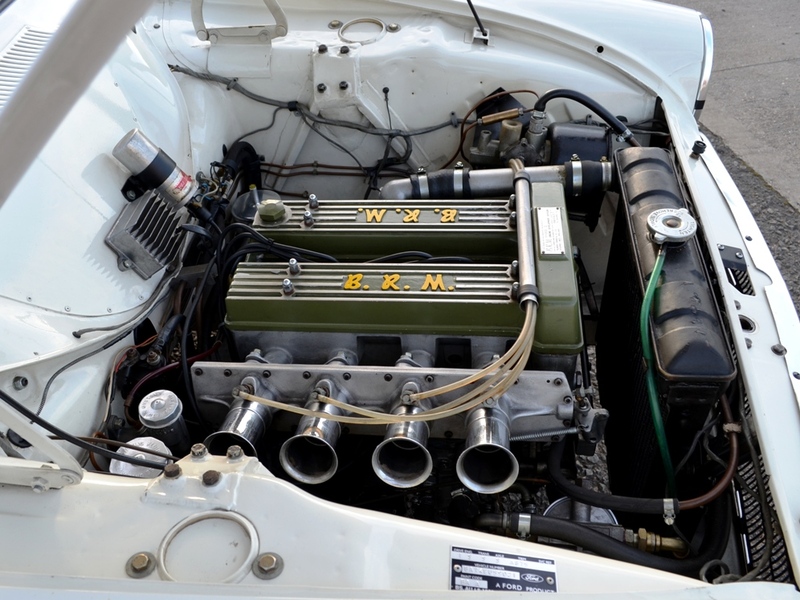 KPU 396C is a 1965 car which only raced in 1966. 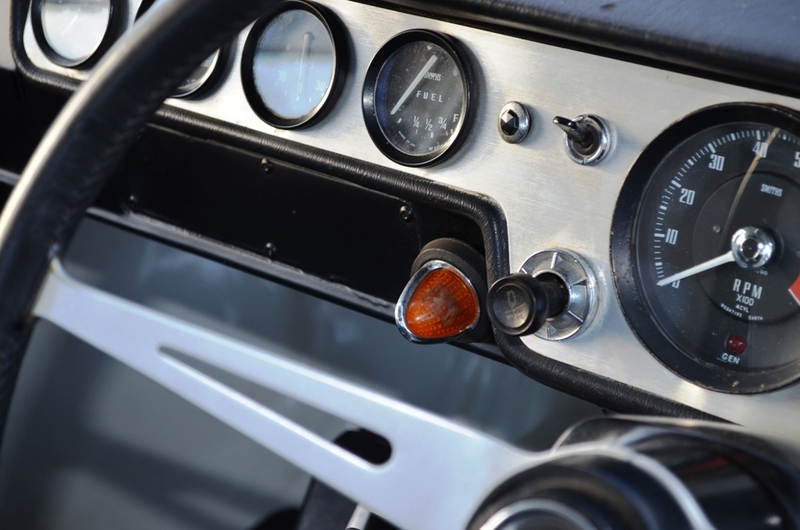 KPU was Colin Chapman’s road car in 1965, and was crashed by Chapman one day on the way to work, tucked away under a sheet until the insurance claim was met, then recreated as a race car in 1966. 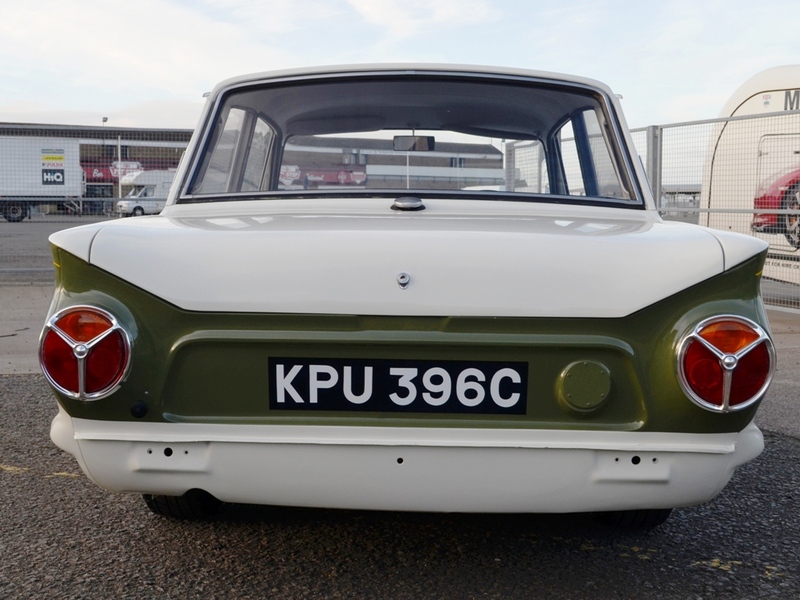 The batch sequence of ‘KPU’ Lotus Cortinas were driven by many famous drivers, including John Whitmore, Alan Mann and Roger Clark. KPU 396C started life as a new-type leaf-spring model. 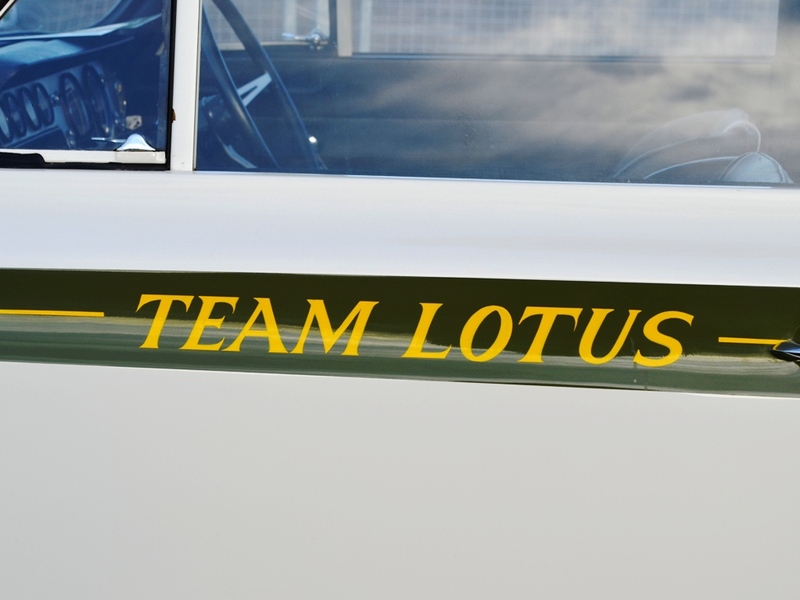 In spite of its C-reg 1965 identity, it was the last Mkl race car that Team Lotus ever built. All the evidence suggests it was originally thrown together in a great hurry, and often neglected throughout the 1966 season. 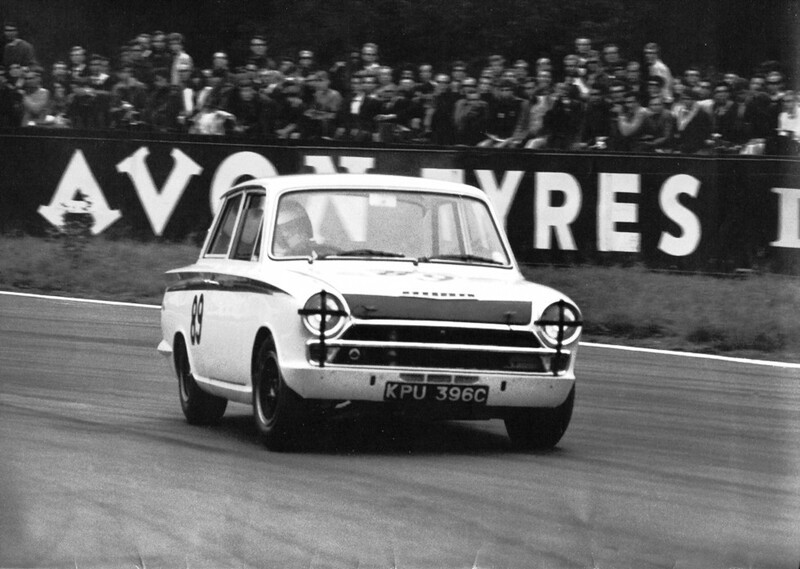 For 1966, British saloon cars raced in the very liberal Gp5 category. 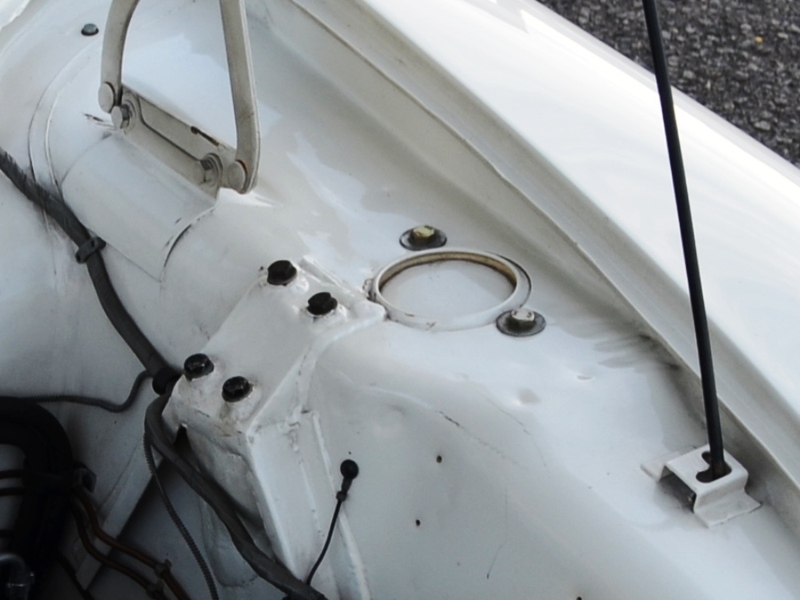 Bodyshell and engine block had to be retained, but almost everything else could be changed. Which explains why Team Lotus used 180 bhp. 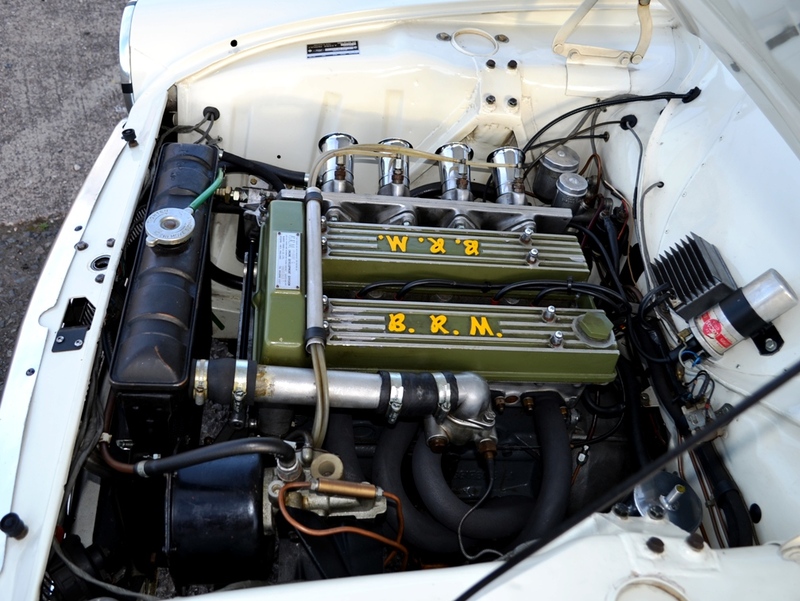 Lucas fuel-injected, dry sumped, BRM-prepared engines. Mike Hall, later to design the BDA engine at Cosworth. 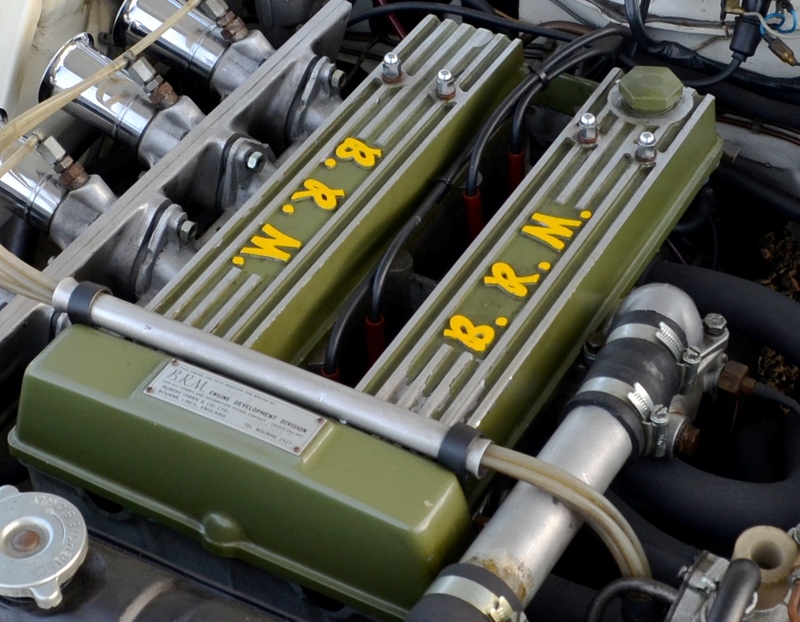 was chief devel­opment engineer on these power units. 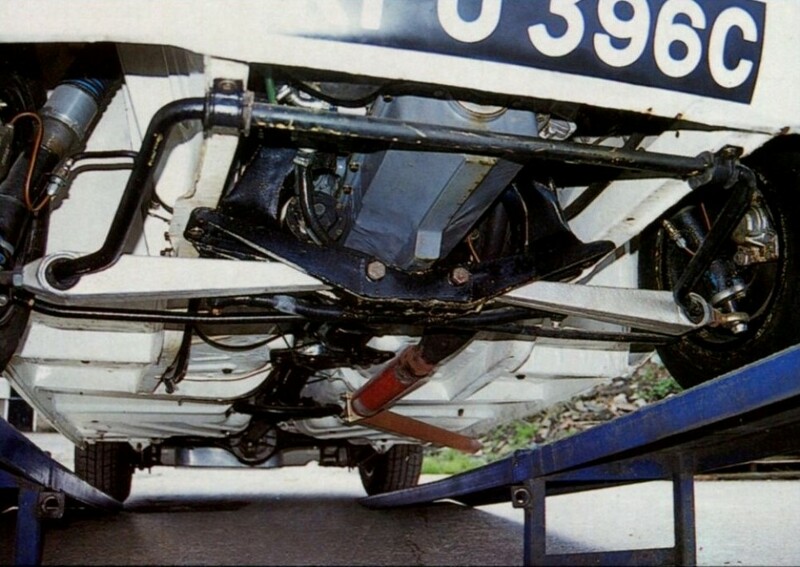 There was also four-link location for the leaf-sprung rear axle with Rose joints. 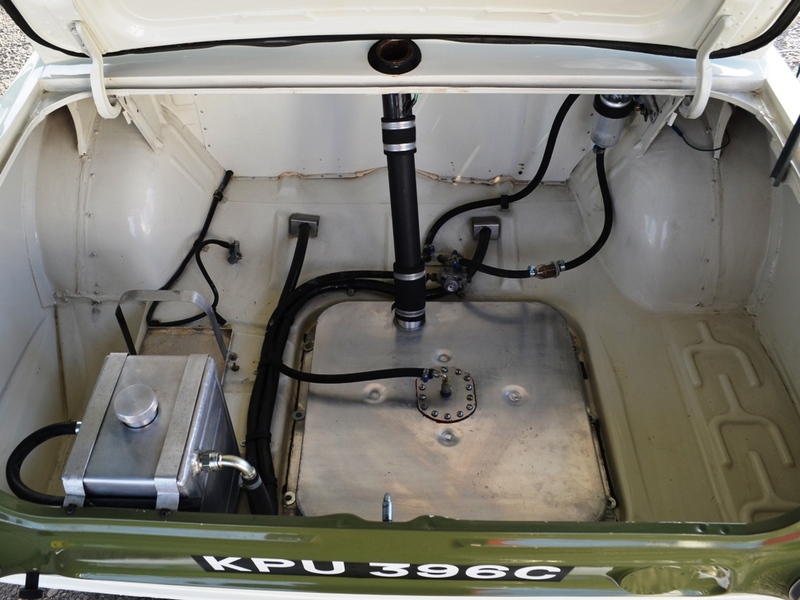 The front suspension was highly modified, with short canted coil-over shocks replacing the MacPherson springs and much longer transverse links with Rose joints on a new fabricated cross-member. 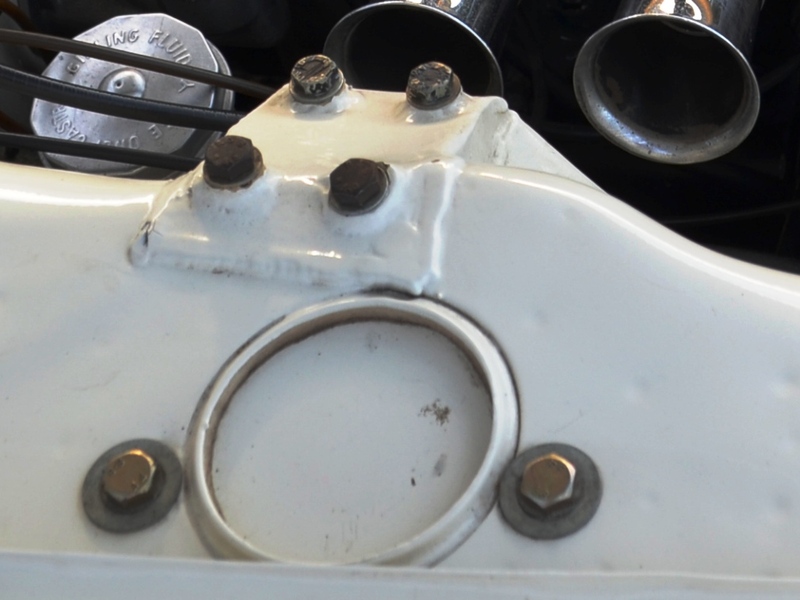 This meant that new strut reinforcements had to be welded into the inner wheel arches — there were no strut braces. 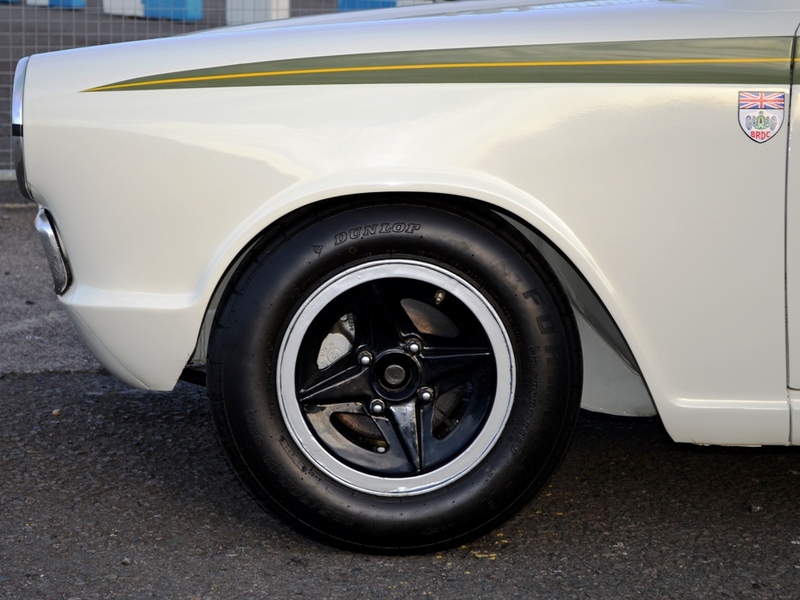 The magnesium wheels, black with pol­ished and machined rim edges, were actu­ally four-stud versions of the knock-on types used on Lotus’ current F2 single-seaters. 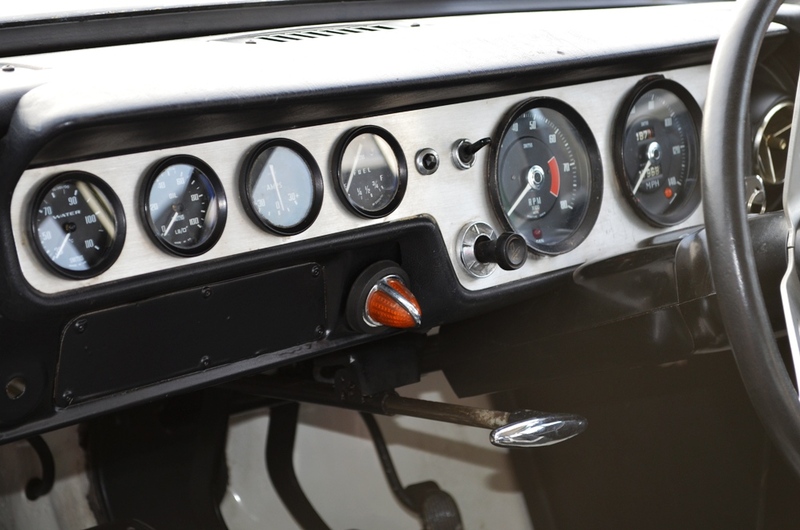 Original to this day — and therefore 34 years old — they are probably very fragile, and would need to be replaced if the car was ever again to be raced. Andy admits that KPU had a chequered career in 1966. 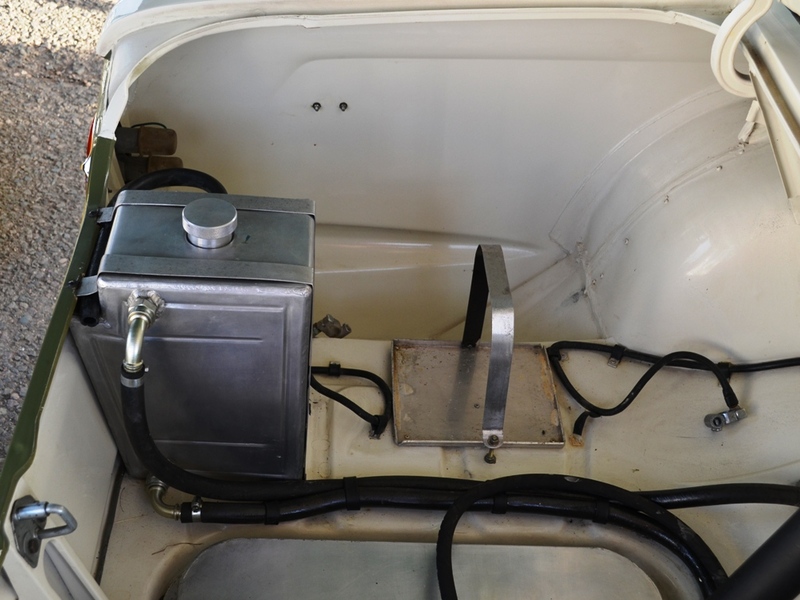 Using the original injection system, it caught fire three times when being tested or raced. The PHKs were the front-line cars, and KPU served as the T-car. which explains why it raced irregularly. 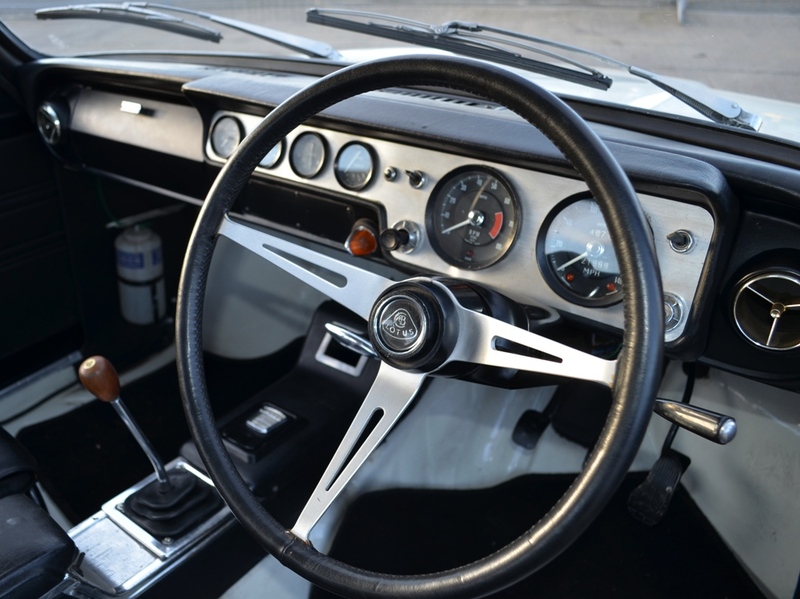 Because Team Lotus turned to the Mkll-shaped cars for 1967. the 1966 racers were sold on, first to be used by private owners, but eventually to disappear into oblivion. 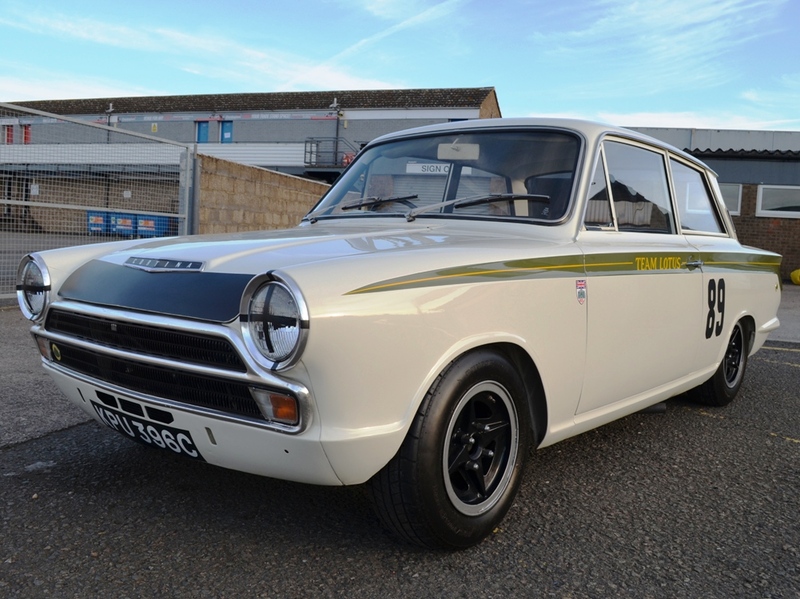 “I knew about this car for about five years before I bought it,” says Andy. “It was in a corner of a breaker’s yard in Scotland — not bent, but just neglected. It had been rallied until the late 70s. when the trick front sus­pension and rear suspension had both been taken off and thrown aside. Fortunately, these pieces were kept. 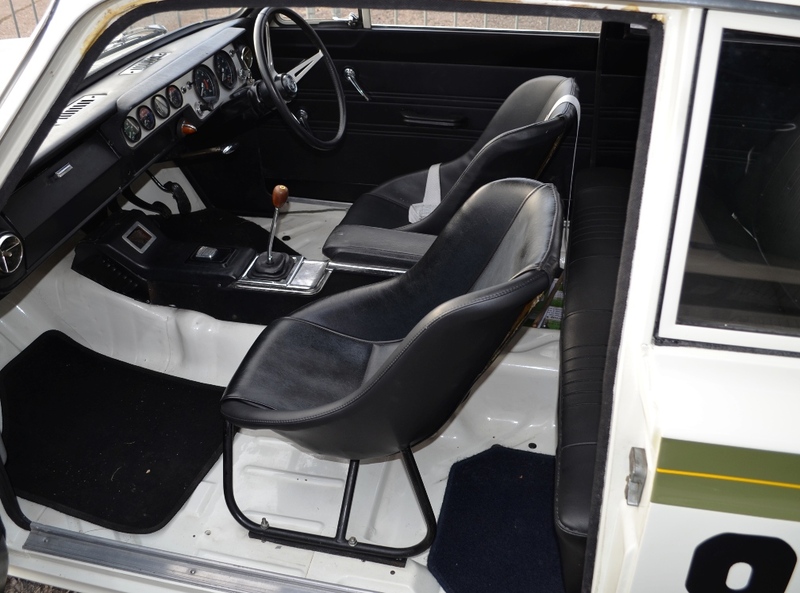 Since the rebuild, the car has been used only rarely because it’s so special. “It’s totally different from the Nissans I’ve raced.” he says. “You need a real armful of lock to make it change direction. There doesn’t seem to be a category where the Gp5 car can race these days, which is a pity.” But find Andy a category and he’ll be there. The car today looks stunning. 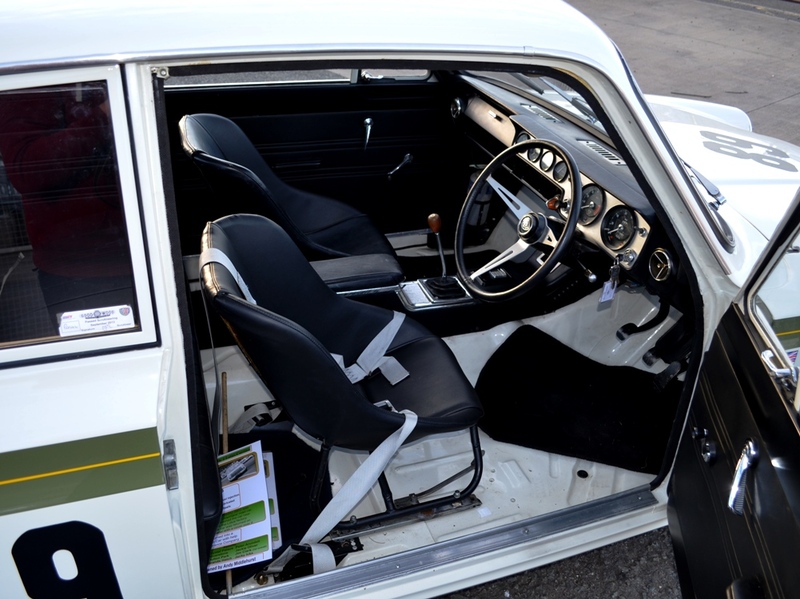 The restoration has mellowed, and the car looks just right and so purposeful. Enjoy the photos. At Donington in March 2014, the car looks very familiar!